We have over 20 certificates like these. If you are ever interested. These are really great deals, to book you need to follow the conditions, please read carefully the conditions on the image. 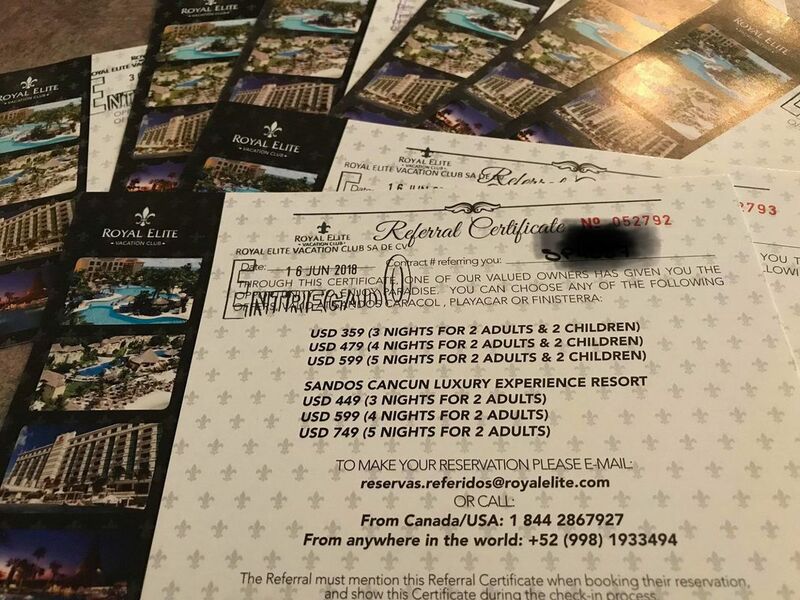 You wouldn’t receive Blackband when you book with these promo. 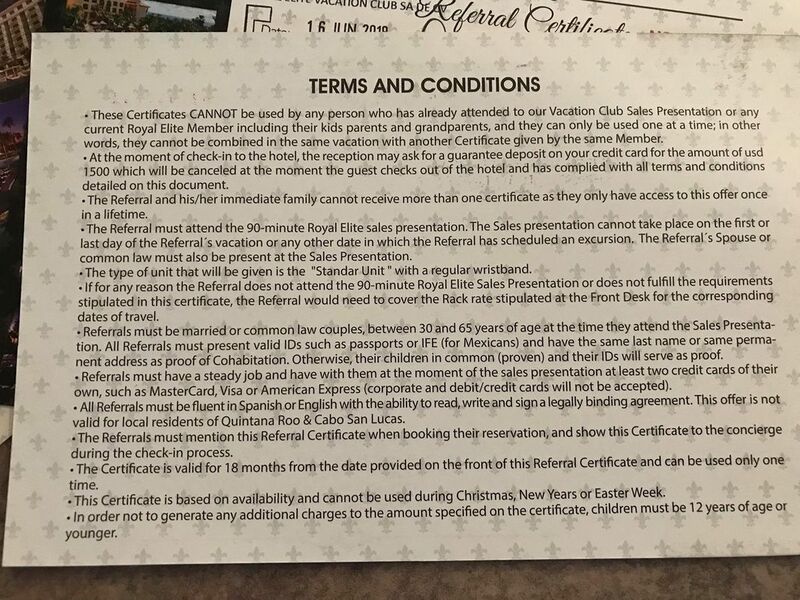 If you ever wanted to learn about the Royal Elite Vacation program, it’s your chance. Yes you need to assist to a 90 presentation but it’s NOT mandatory to purchase. request a free referral certificate.